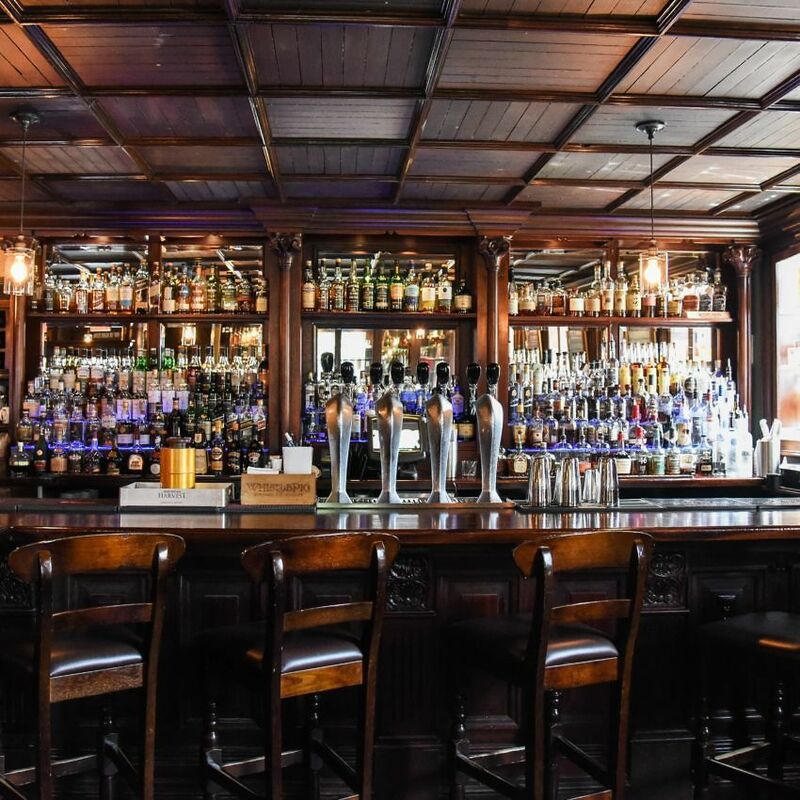 Rí Rá is located in an historic bank building, designed by Boston based Harper & West, that was completed in 1931. 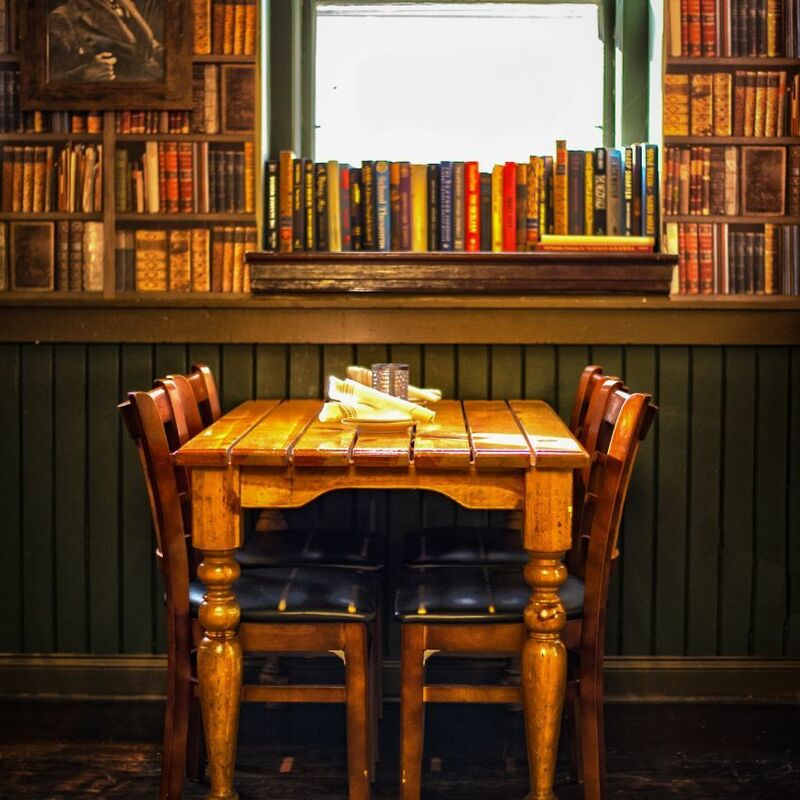 The pub opened for the first time in March 1999, and was extended in 2002 with the addition of the Library area. 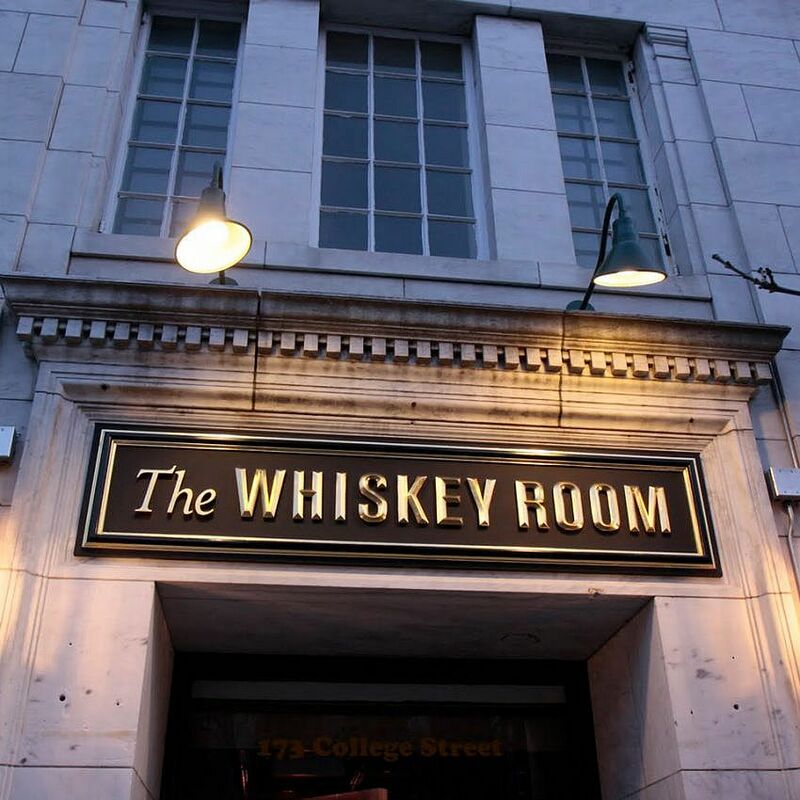 In February 2012, The Whiskey Room opened its doors. 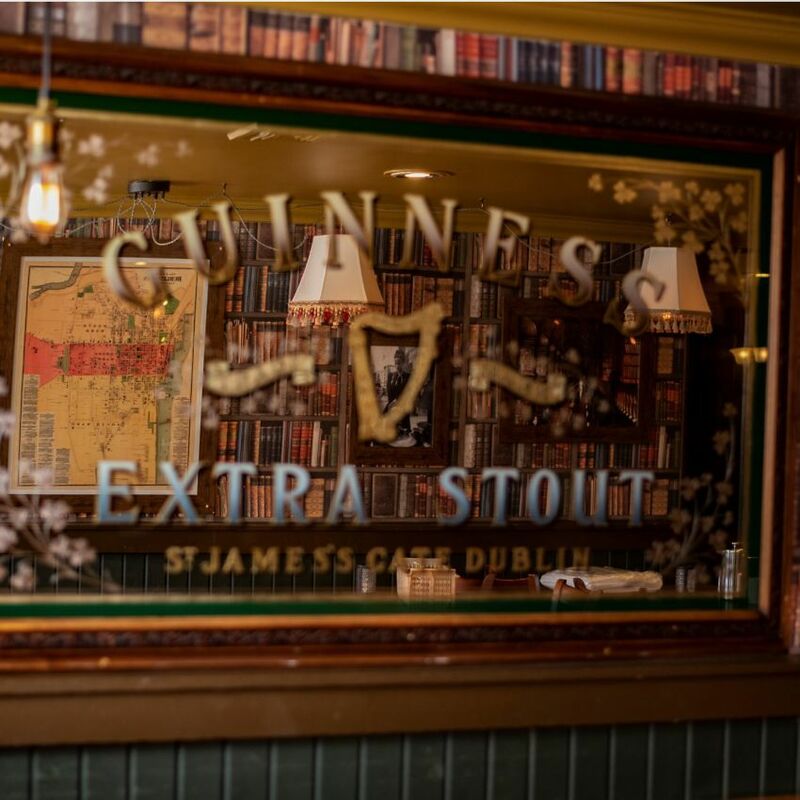 As you enter Rí Rá, you can imagine yourself walking through a door that leads you across the pond to experience the best pubs of Ireland. 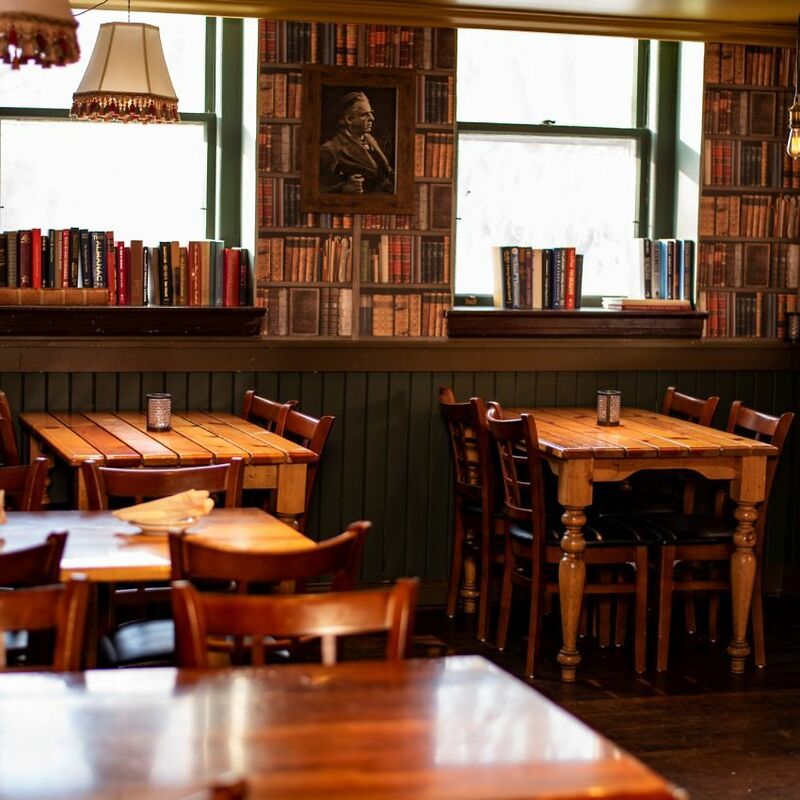 The pub interiors were salvaged and restored in Ireland prior to being shipped to Vermont. 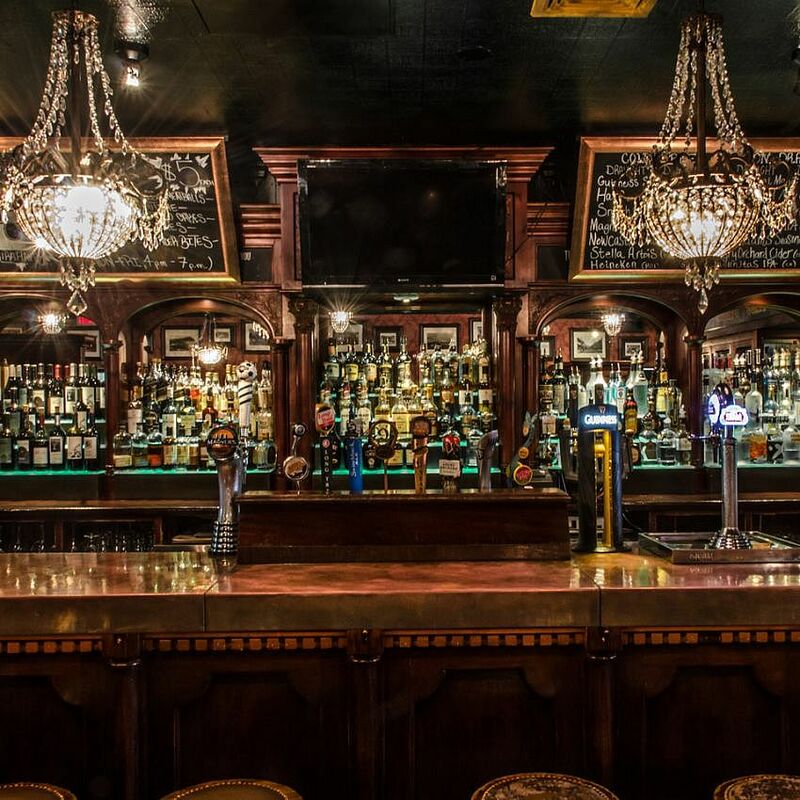 We are proud to showcase a unique and genuine Irish pub in the heart of Burlington. 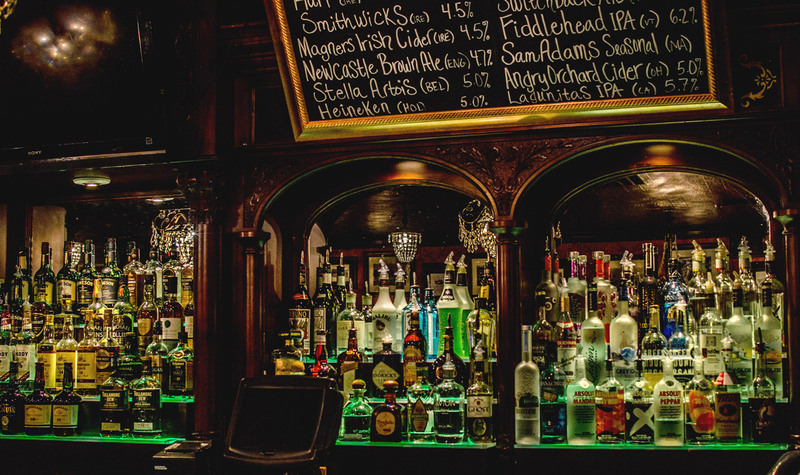 The first bar you encounter as you enter the pub is our Shop Bar. 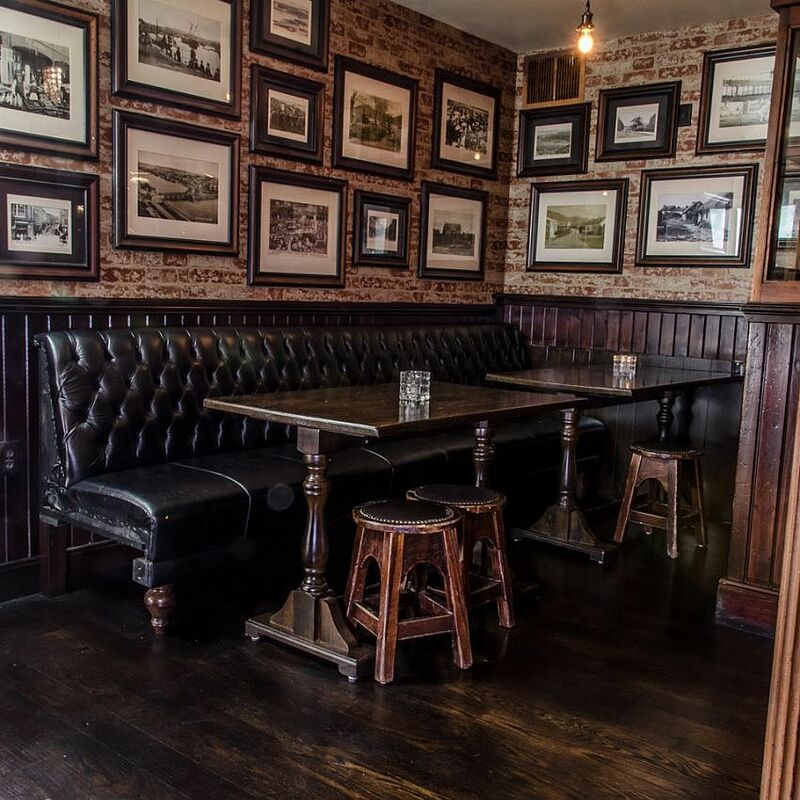 For centuries, people throughout rural Ireland have gathered in these cozy pubs. The shop/hardware items on display are available for sale. 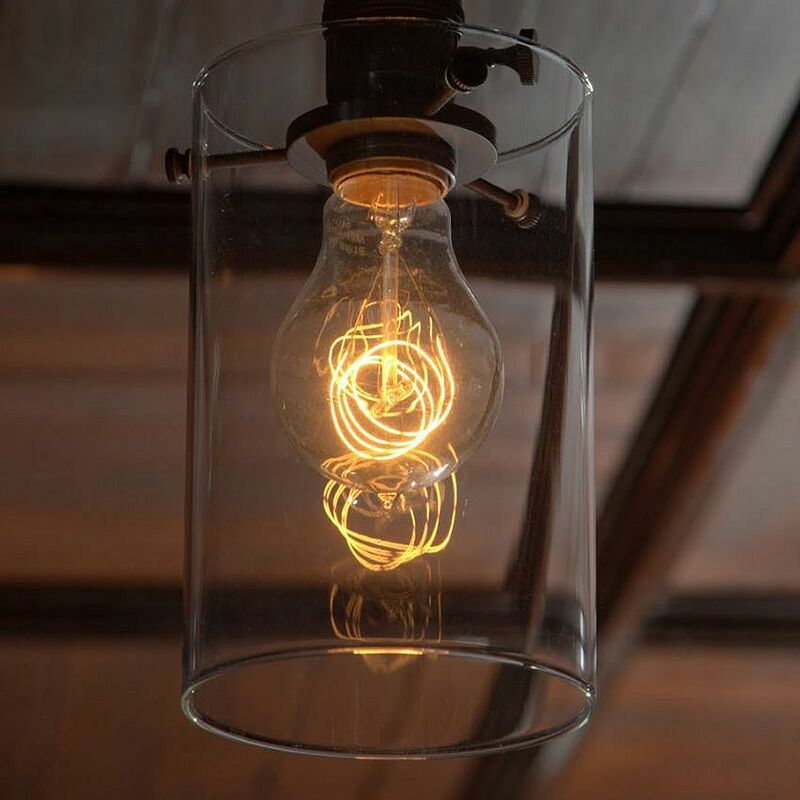 Purchase some light bulbs, enjoy a pint, bite to eat, a chat and you will be transported back in time to the quintessential Irish country pub. 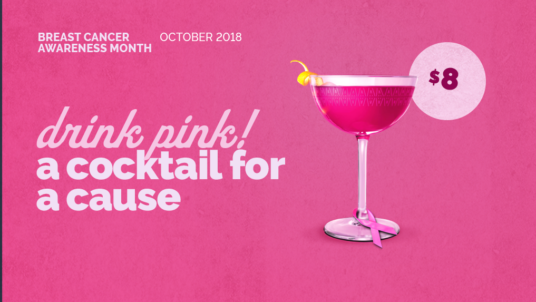 This area includes a lounge snug that has a retro feel for the swinging sixties that is a perfect spot for a quiet drink. 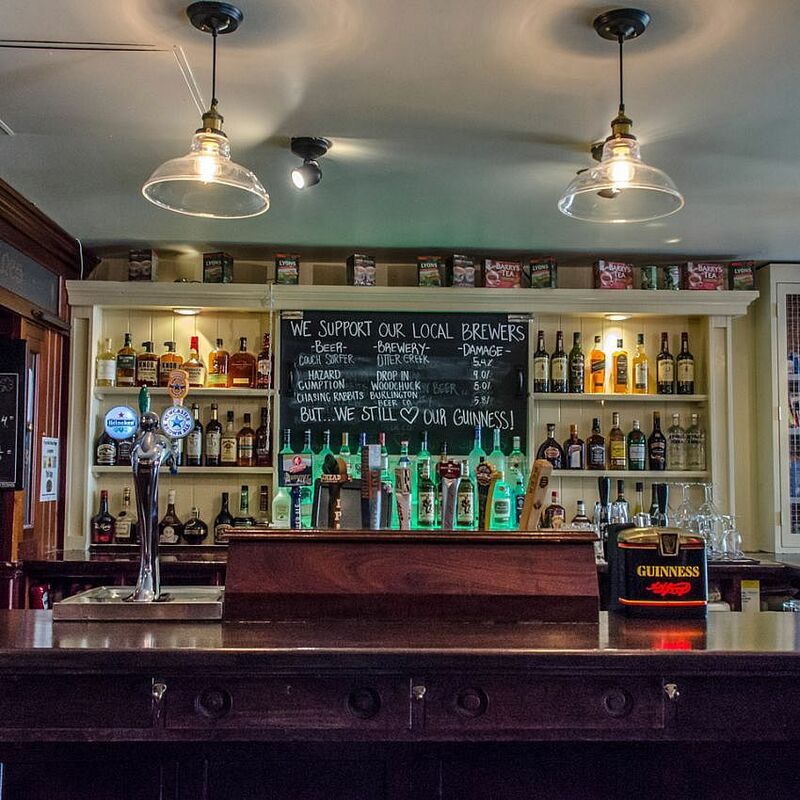 The Victorian bar in the middle of the pub is a classic example of bars from that period. 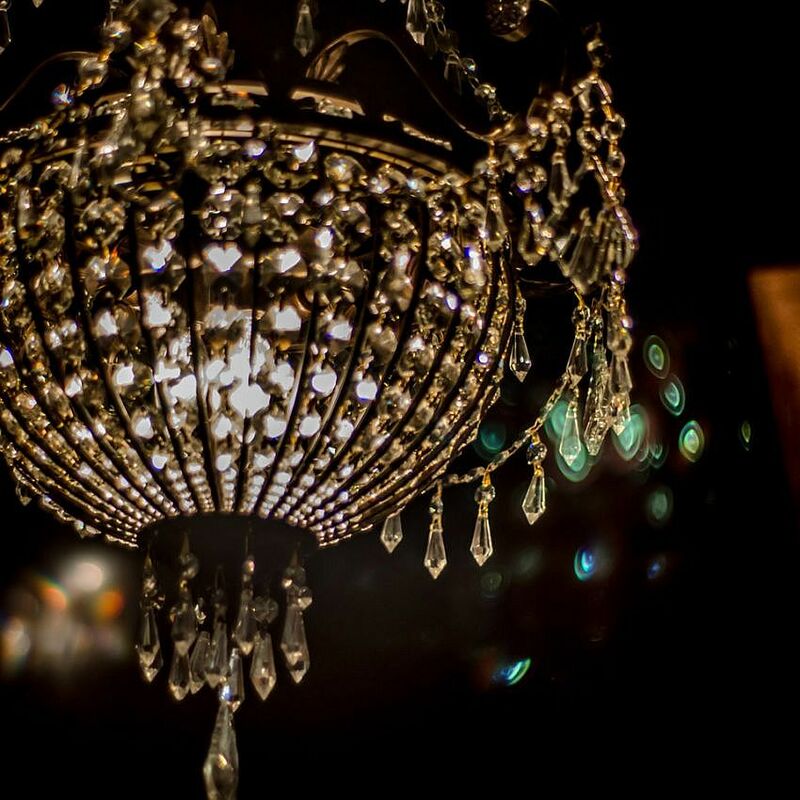 Its etched glass mirrors, copper finishes and ornate chandeliers were typical elements in pubs during 19th century Dublin. 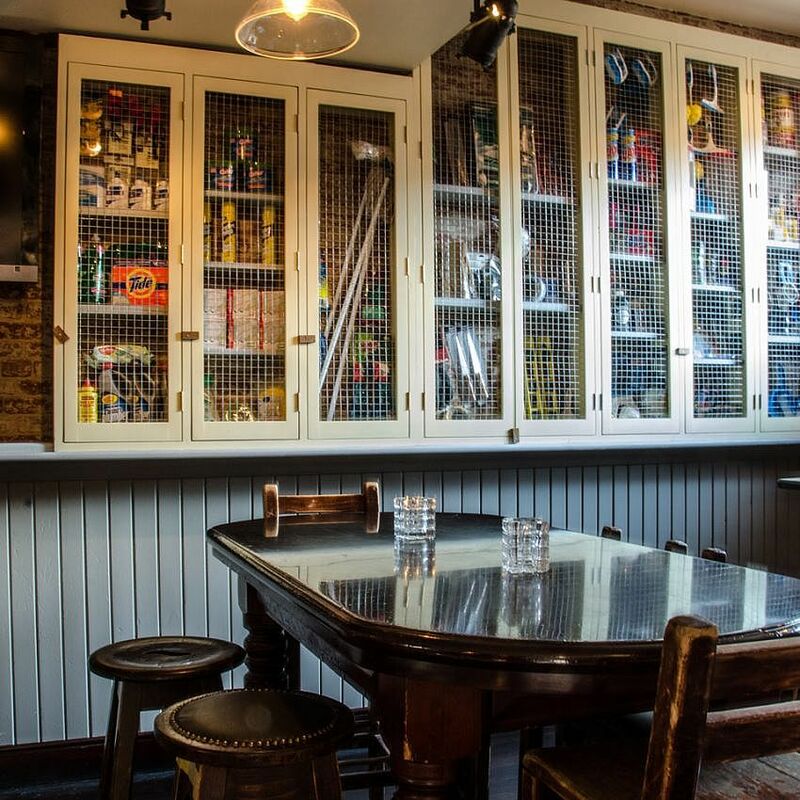 This bar was custom made with salvaged materials imported from Ireland. 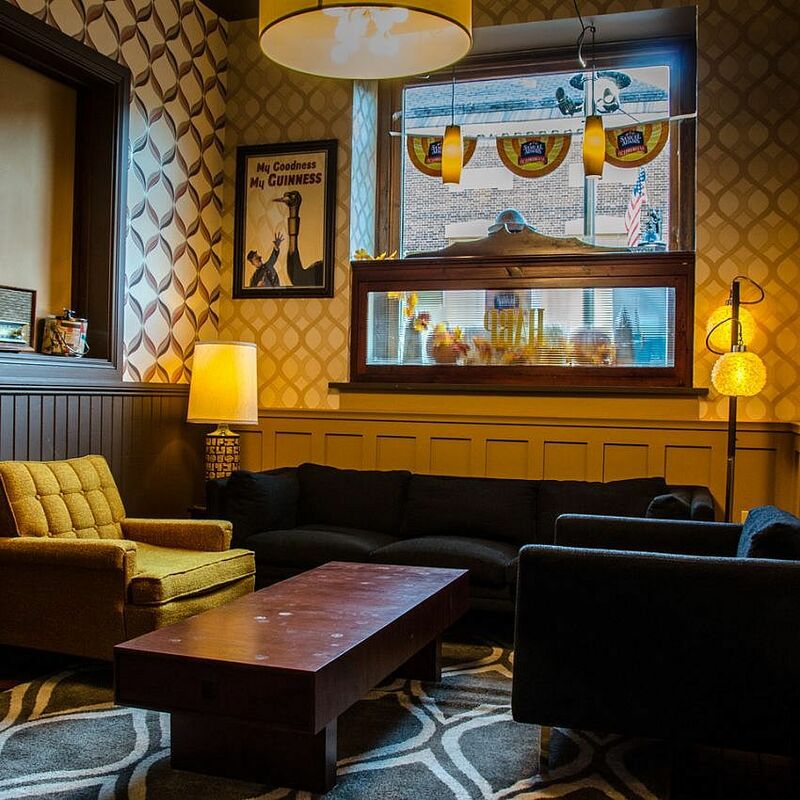 With its large stage and big TV screen, it is the perfect gathering spot for late night or a major sport event. 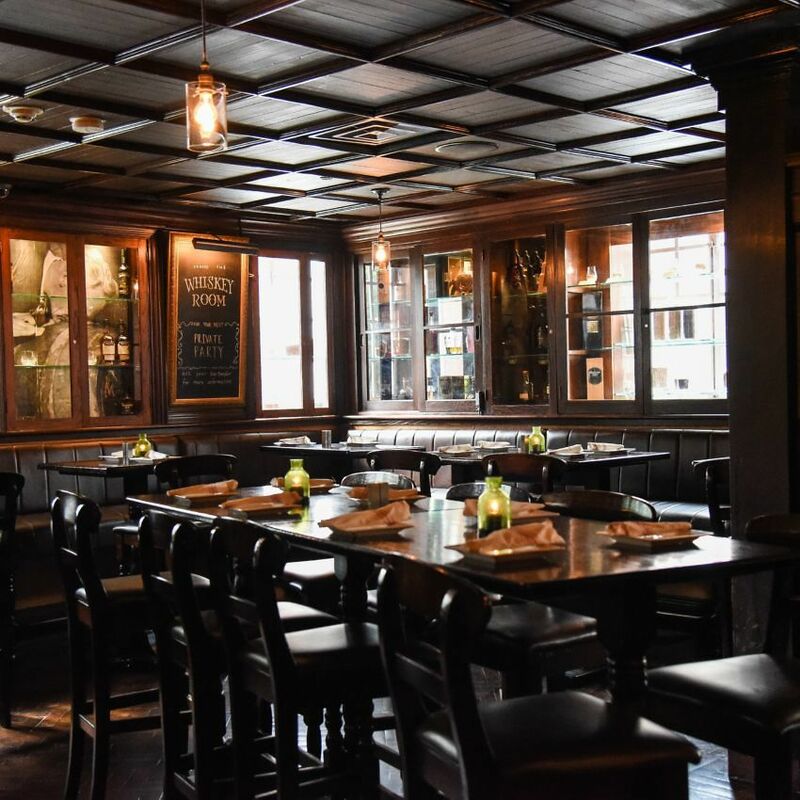 You can enter The Whiskey Room at Rí Rá from the street on College Street or through the side door in the pub. 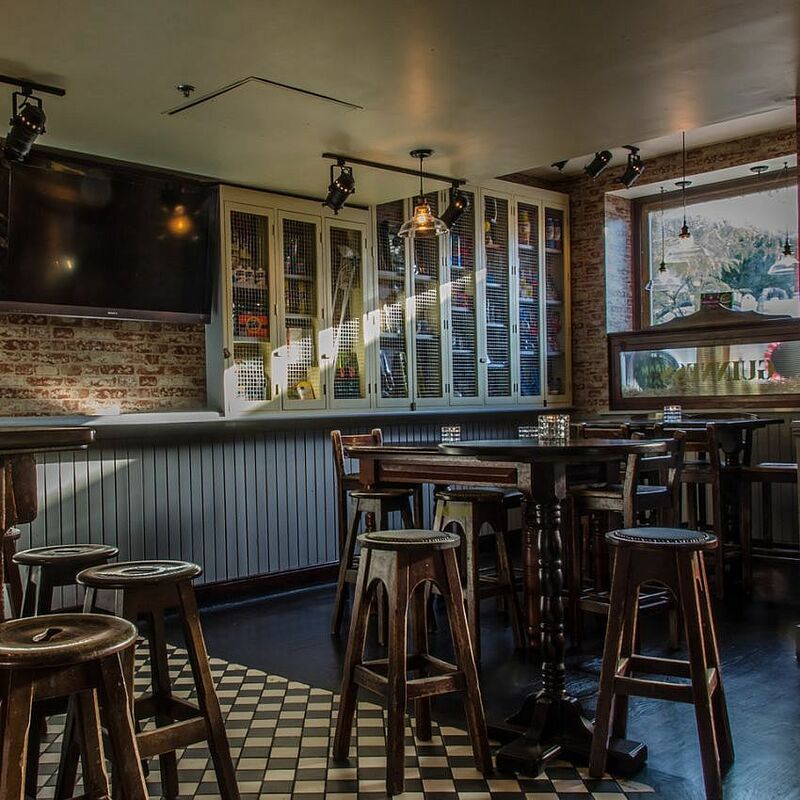 The room features an extensive range of whiskey, craft beers & cocktails along with a tapas style menu in a warm, relaxing and fun environment. 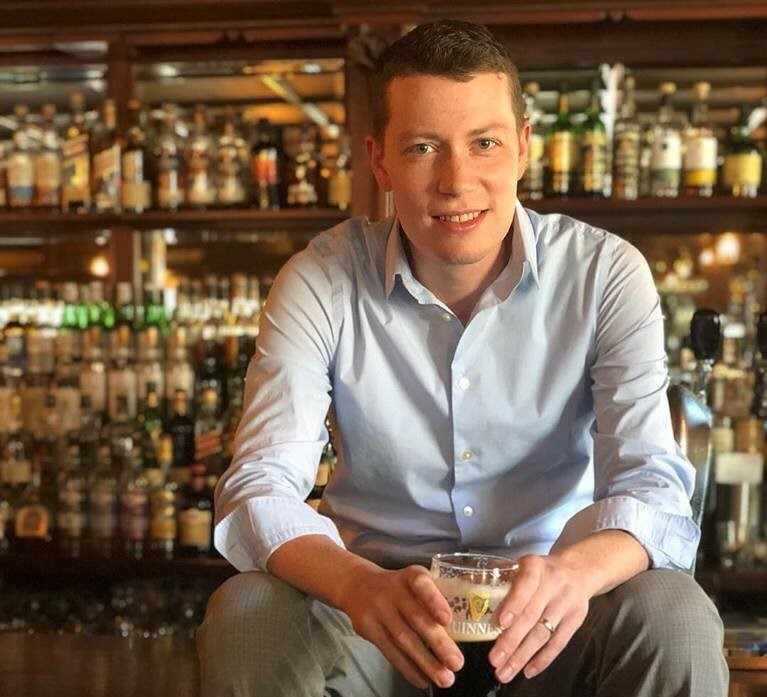 There is plenty to learn about whiskey and even more to enjoy. The story of whiskey is long, fascinating and worth sharing with good company. The truth is, it’s a journey of a lifetime. So relax and enjoy. There’s no rush. 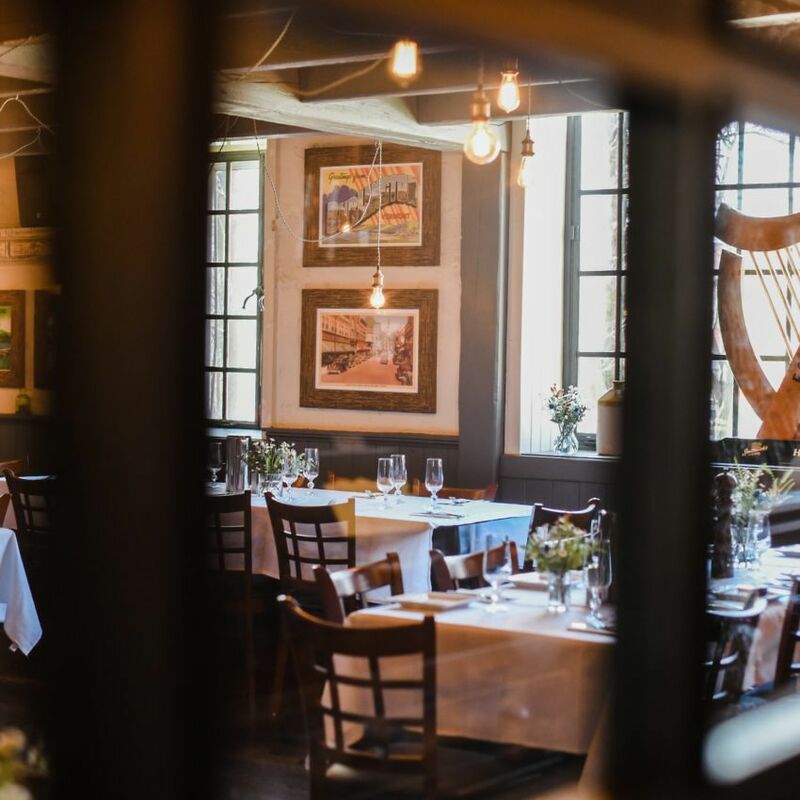 These rooms are perfect spaces for all occasions – lunch, dinner or a private party. Both rooms overlook the park and are perfect spots for a quiet meal or special occasion. 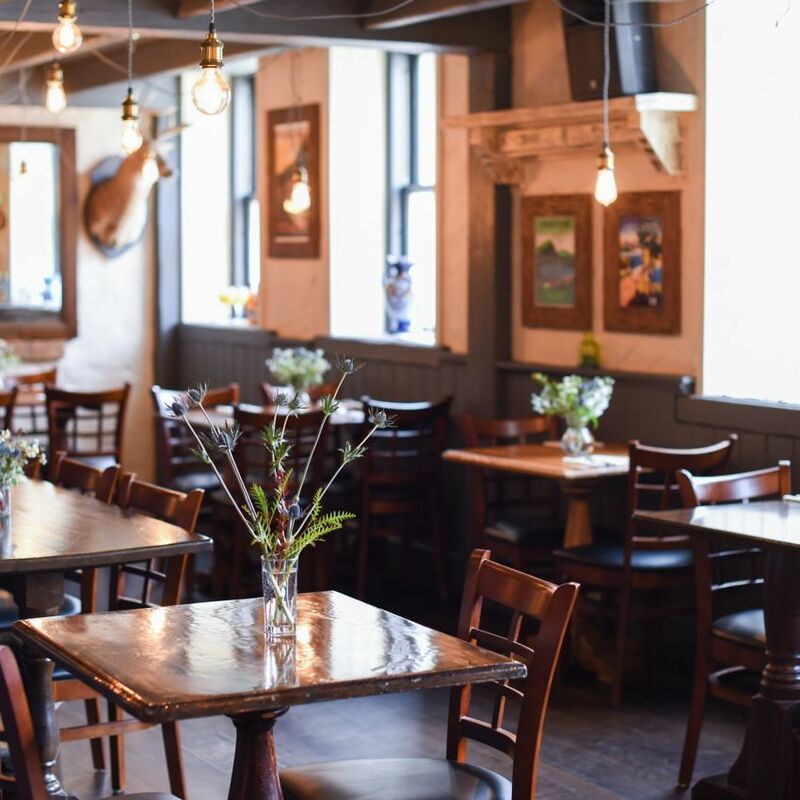 The low ceilings, exposed beams and working fireplace, together with our warm welcoming staff creates a home away from home environment to escape the hustle and bustle of Church Street. The library area includes a large TV screen for small groups to gather in comfort to watch a game or to stage an event. 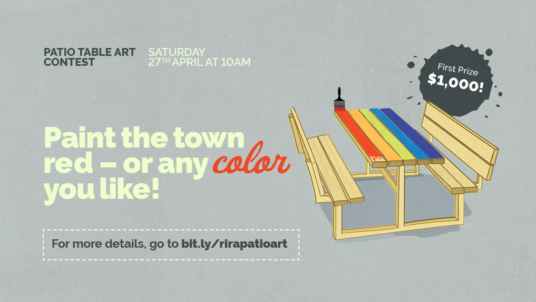 Here at Rí Rá, we love to be a part of the local community. We enjoy being involved with local groups such as Meals on Wheels and the Humane Society and to make our neighborhood a better place to live, work and socialize. We are also heavily involved with local charities and try to give back to the community that so graciously welcomed us to the neighborhood. We sponsor the annual Penguin Plunge in December for the Special Olympics; a contribution which has helped the organization raise over $474,000 this year. We are also very proud of our Annual Golf Tournament and the now infamous Santa Run event; both held in aid of the Camp Ta Kum Ta charity. 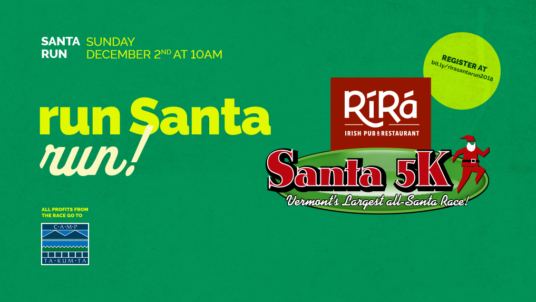 Race your way onto Santa's 'nice' list by taking part in the annual Rí Rá Santa run, the biggest in Vermont! I have always been asked why I work in the hospitality industry and I have always given the same cliché response. 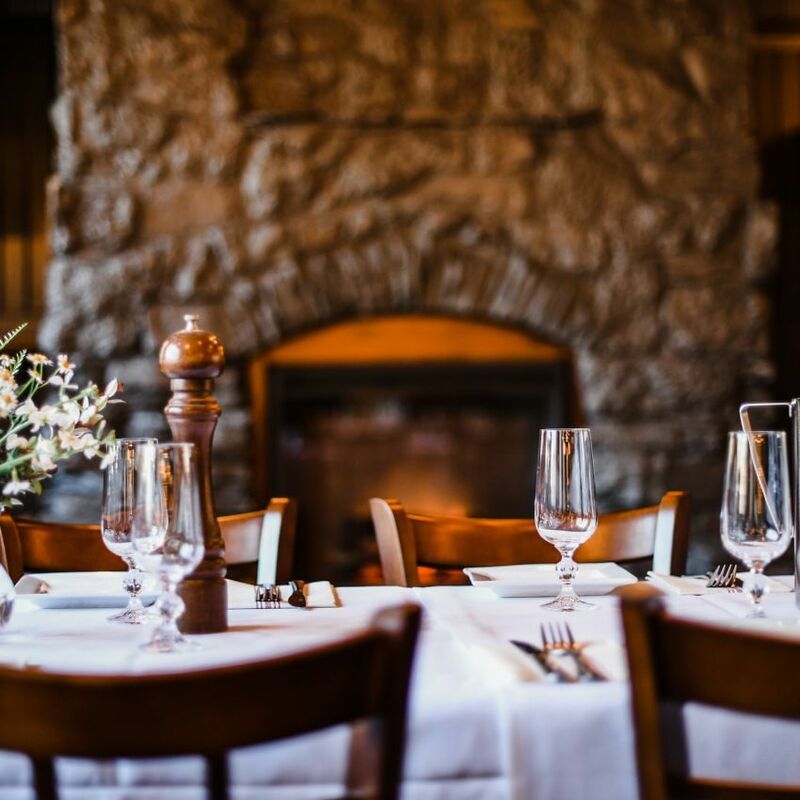 I started working in restaurants at a young age in the resort area of the Smokey Mountains in Tennessee and worked in restaurants throughout high school and college in nearly every position. After graduating from the University of Tennessee, I moved to St. Louis Missouri and just decided I was good at the business and I liked it, so I stayed. Recently, I realized the truth is much deeper. I was born to an Irish Catholic military family of seven children. With such a large family, going out to eat was pretty difficult. My mother wanted us to experience as much as she could give us, so she would bring the restaurant to us. We’d have Mexican food with full menus that me or one of my siblings would create. We would have pizza night and everyone ate their own unique pizza. We all took turns helping cooking and cleaning. Memories like these molded my thinking of what the restaurant experience should be. It is not simply the cooking and delivery of food. People should feel transported. The food should make them audibly smile. They should feel a sense of comfort and belonging. This is what I strive to accomplish in the restaurants I run. 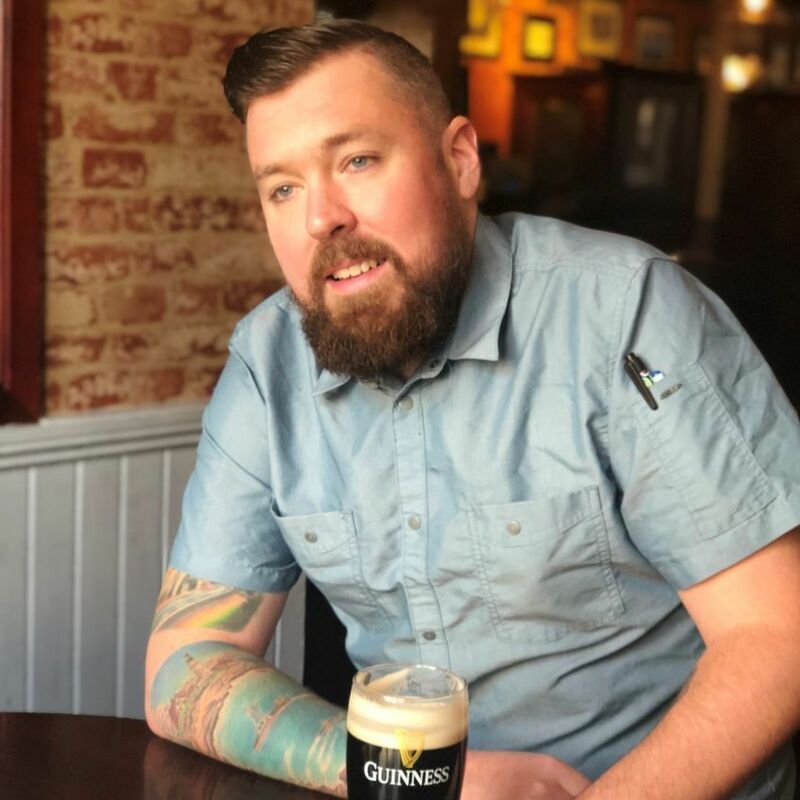 In St. Louis I had the privilege of working in and running various Irish pubs and this vision of hospitality is right at home there. My wife and I are happy to make a home here in Vermont and I am excited to be a part of Rí Rá Burlington. I was born and raised with my 7 siblings in the Northeast Kingdom of Vermont. I was also born and raised in the hospitality industry. My family owns and operates a country resort, and I started working there at the age of 8 washing dishes. After working my way through every possible position at the resort, I became the General Manager of Operations. 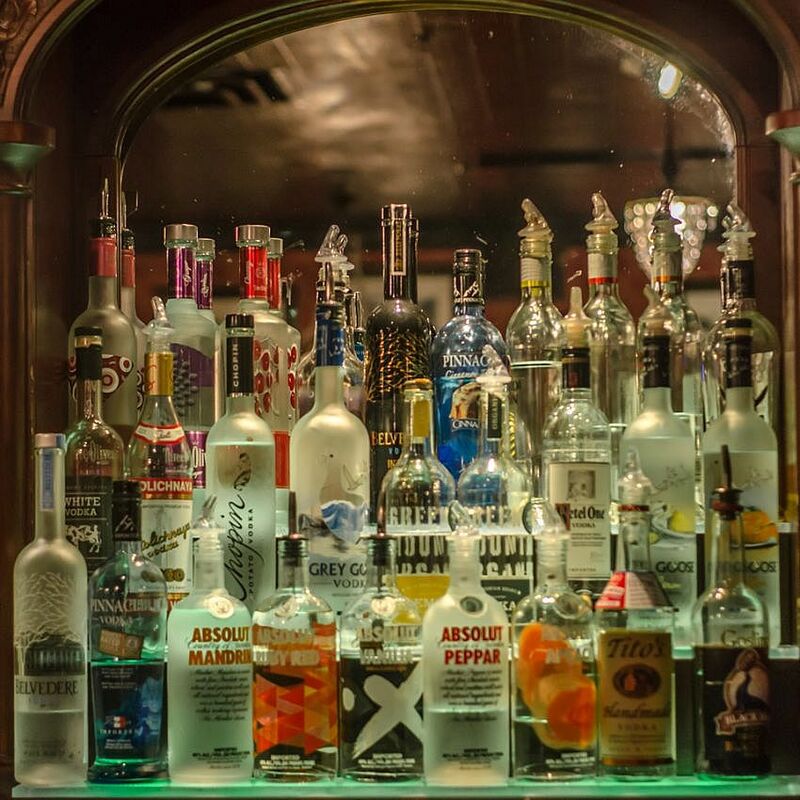 Upon graduating from the University of Vermont, I traveled and tasted my way through Europe. One of my favorite things about food and drink is that there are endless techniques and flavor combinations to experiment with. I took a short hiatus from the restaurant business to work as a Sales Rep for a beer and wine distributor. Not before long, I found myself back in the industry at Rí Rá. My name is Chef Brady, and I fell in love with food when I discovered bacon and salt. And salted bacon. You see, I was raised by hippies in the great north woods of Maine, and they fed me health food. Now, I appreciate the consideration for my overall well-being but all that granola and tofu just didn’t float my boat. Before long, I was cooking up my own sodium and lard enriched delicacies, since then food and I have been like two peas in a pod. 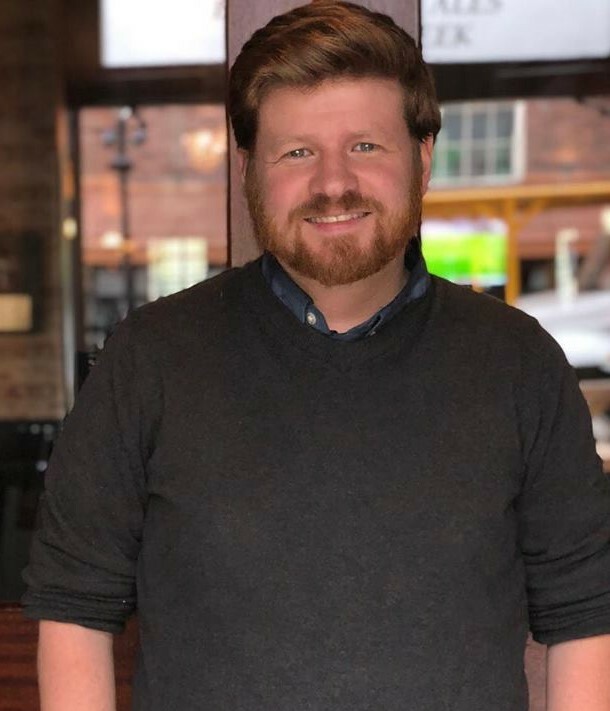 I’ve really enjoyed Rí Rá’s consistently evolving vison regarding authentic and traditional Irish Pub fare with an eye towards local, trending and developing foods. 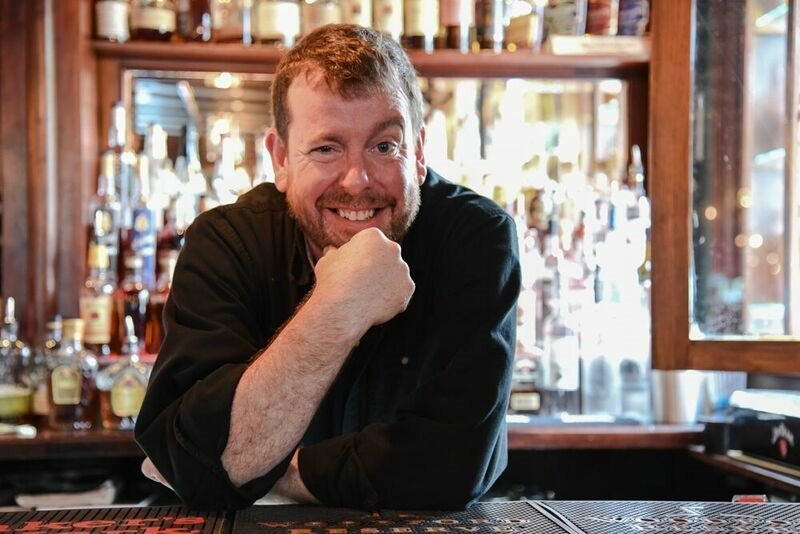 After 8 years with the company, and traveling all over the country from my home in the Great North Woods, Rí Rá has grown with me and nurtured my affair with all things delicious. Growing up in Boothbay Harbor, Maine, I first discovered my love for cooking at a very young age. My father taught me the way around a kitchen, so that by the age of 15, at my first kitchen job, I fit right in. I realized then that one of my favorite aspects of cooking was the satisfaction gained from a beautiful presentation. 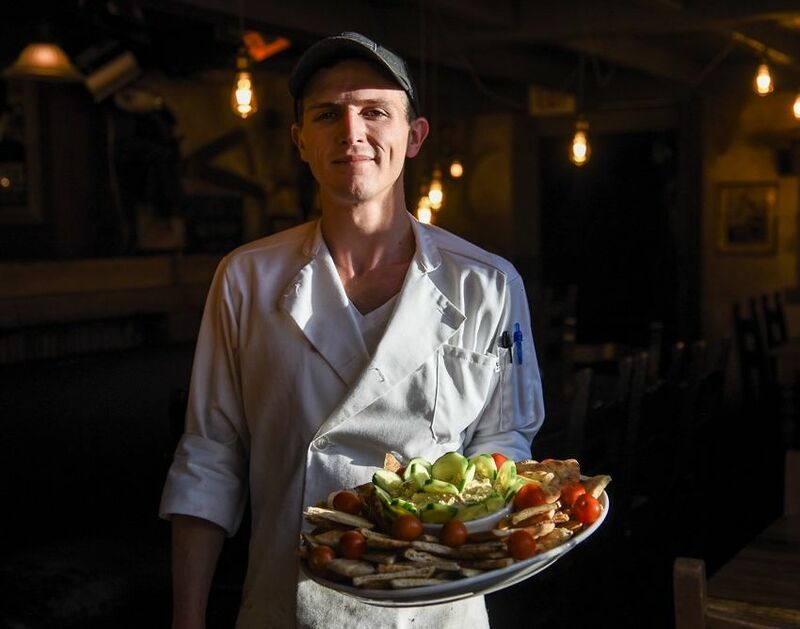 I believe in fostering an environment in which patrons will experience not only the quality of the food but also appreciate the presentation of our fresh fare. I am excited to bring this enthusiasm into the kitchen at Rí Rá. I guess you could say it was a mix of my parents owning a pizzeria (25 years strong), my grandparents’ traditional stressed importance of family time, and our yearly trips to Disney World, but I realized a key point pretty early on: People have fun when they’re surrounded by great food, good company, and exciting entertainment. Maybe it was those trips to Disney, or watching my parents have such success in the crazy restaurant business, but I wanted to be a part of the behind the scenes too, making sure others are having an awesome time and enjoying themselves. I knew I would study business in college, but I wanted to do something fun afterwards. 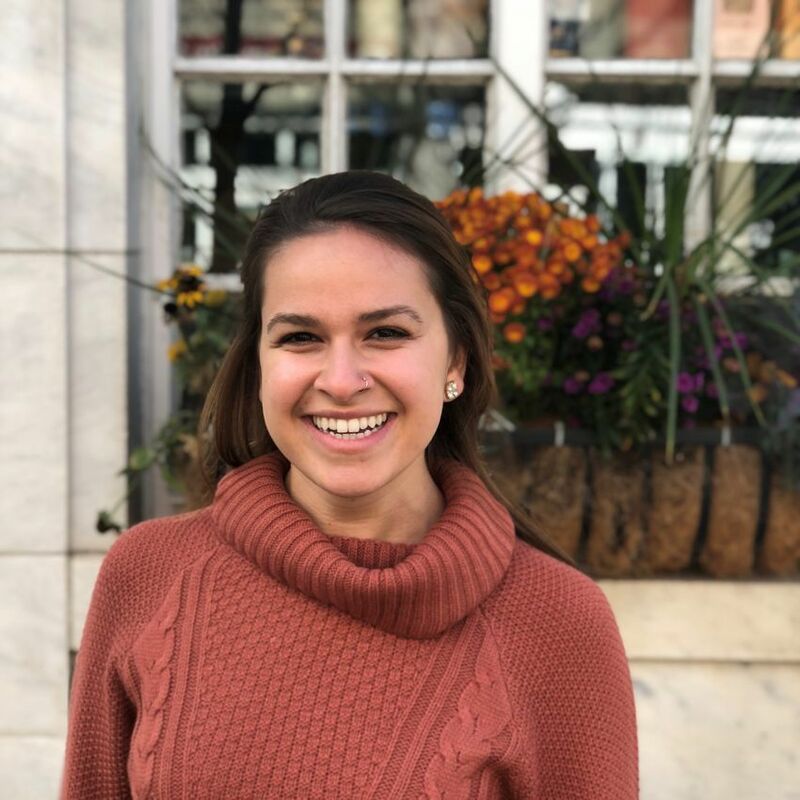 I received my Bachelors Degree in Marketing from Siena College, worked at a small private events business for a few months, and then accepted an internship in Walt Disney World. After completing my internship, I became an Event Producer working in the Design Department of a catering company in Albany, NY. I decided to make the move to Burlington and let me tell you, I am having fun. It’s fun for me to see our guests’ events unfold just the way they envisioned. I’m so happy I get to do this here at Rí Rá.